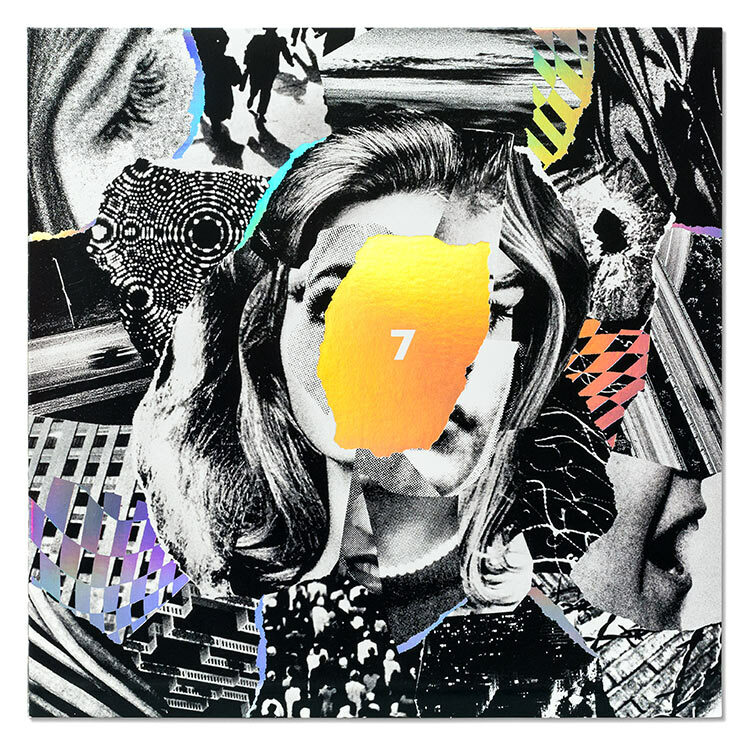 To fit the dark, dystopian feeling of their new album 7, Beach House asked us to create a design that conveys the record’s unsettling, sci-fi-tinged themes. Our punk-style collage interrupts a fragmented female portrait with slashes of iridescent foil and accentuates the artwork’s cinematic feel. 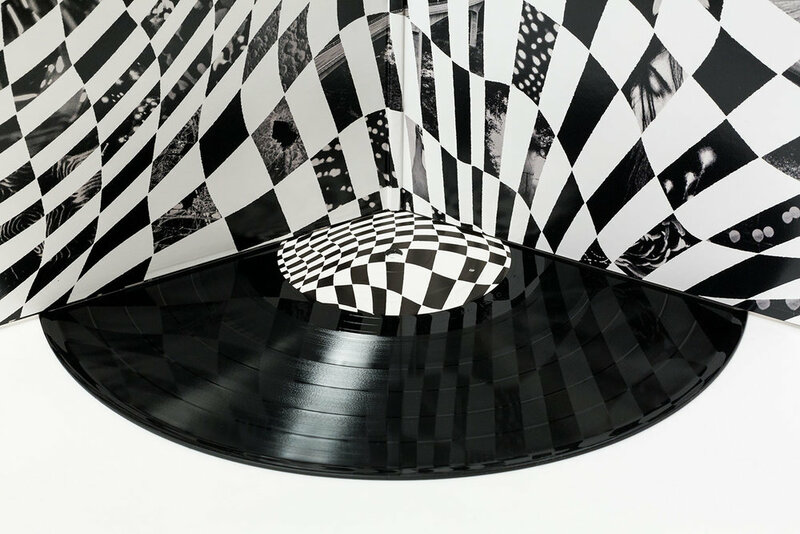 Under some lighting, the iridescent foil appears gray and flat, blending into the black and white art. As the light shifts, the foil explodes in a rainbow of shifting colors, a hint of the future flashing through. The foil makes the physical album a special object that fans want to have on their shelf. You can’t foil stamp Spotify. The art has a subtle, shifting narrative. Visual motifs and photo pairings repeat and change throughout the packaging. We spent weeks sifting through vintage magazines and books to find the perfect imagery to create a rich experience for listeners to discover something new each time they look at the album. We used lo-fi methods to distort the liner notes, giving the text same unsettling spirit as the rest of the design.